Today’s text seems like two stories: Jesus rejected by his home town, and Jesus sending out the twelve. Upon closer look, it is indeed one. Jesus says a prophet is not without honor except in his home town. Then he sends his disciples to preach the gospel in their home towns. Think about it, Peter, Andrew, James, and John, fishermen from the same region, are familiar with the people. What would we say to men whom we knew, who always smelled like fish, and looked like they had been in the sun too long, when they came promising to cast out our demons? What would we say to someone like that, proclaiming our need to repent? Well, instead of imagining, we should be experiencing what it is like — not what it is like to receive such a message, but to be one who delivers it. 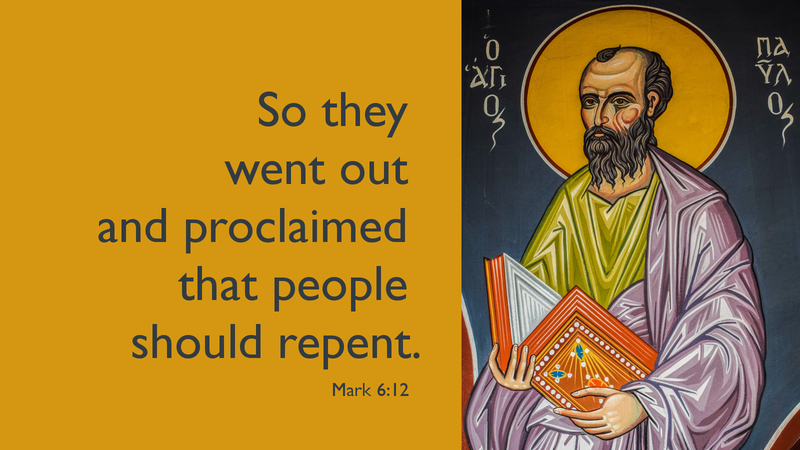 Jesus calls us to be witnesses to the gospel, even in our home towns. The question is, do we accept his call? Do we understand the message well enough that we can overcome our doubts and minister to those who might see us only as neighbors with faults? Not to worry; Christ will give us the words. Prayer: Lord Jesus, equip us to proclaim your gospel, no matter where you send us. Amen.